KBM-048: The No. 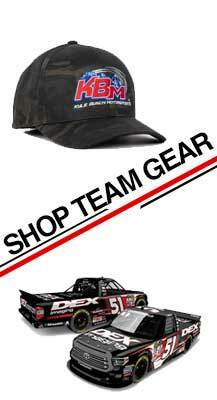 51 Hunt Brothers Pizza/FIELDS team will race KBM-048, for Sunday’s race at CTMP. This Tundra was new for the road course last year when Todd Gilliland finished 11th with it. After Bristol, the No. 51 team has two wins (both with Busch) and four poles (two with Busch, one with Burton and one with Christopher Bell), seven top-five and 13 top-10 finishes. The team is ranked fourth in the owner’s championship standings.